How many of you have been gawking over those beautiful temple jewellery pieces, dreaming about looking like a queen? But the real villain in the story has always been the price tag, isn’t it? Yeah, we feel ya. But guess what? We’ve found the hero for your story. Jaya’s Handiworks is who we’re talking about. A Chennai-based online jewellery label, Jaya’s Handiworks offers an extensive collection of handmade kemp and kundan jewellery pieces at affordable prices. No, really. Necklaces. Long chains. Chokers. Earrings. Rings. Nosepins - you get it all here. We particularly loved their studs and manga nosepins, that come with intricate designing and start from about INR 150. The vast variety of semi-precious stones and beads that includes colours like hot pink, royal blue, black, and metalllic ones too in quirky shapes make the jewellery here all the more enticing. We also loved how the jewellery here can serve multiple purposes. Called the Detachables, this collection comprises of beautiful bead malas, pearl chains that come with kemp pendants pieces that can be clubbed together for a heavy look or you can just choose one pendant for a lighter look. You will also find jimikki maatals in this collection which basically is ear chains carrying detachable jhumkis. We particularly loved the Loca Pearl and Semi-precious agate bead set that comes with 2 pendants and chains which can be worn in different combinations (we are talking six different looks here). Priced at about INR 2300 for all the six pieces, this is a must-have if you’re looking to shop smart. The kundan chains and chokers are also worth looking at. 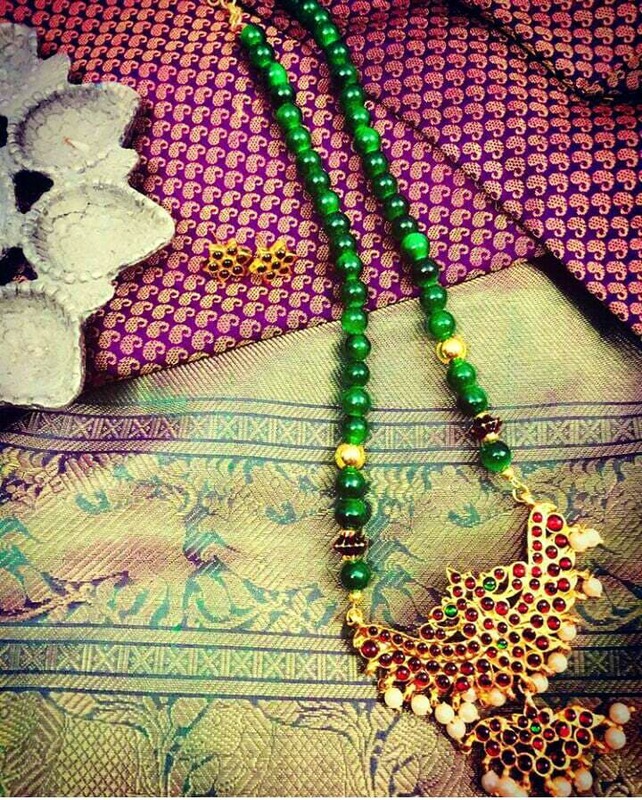 Starting from about INR 650, these come with beautiful earrings as well as separate neckpieces. Jaya’s Handiworks also has kundan necklaces that can be worn two ways (you just have to turn it around), further adding to their multiple-purpose jewelley charm. Tempted to shop? Then go! Make your jewellery dreams come true!